Learn how to build and install your own fences and gates. These free project plans and planning guides will show you how. 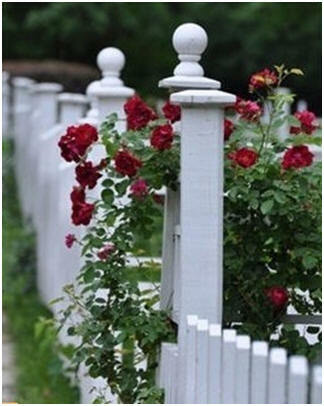 Build a Privacy Fence This article, from The Family Handyman Magazine, will help you avoid major pitfalls and costly mistakes when you're planning and installing a privacy fence. Fences and Gates Use these online plans, materials list and instructions from BuildEazy.com to any of a variety of wooden and chain link backyard fences and gates. Garden Trellis Fence and Gateway Made of solid redwood, this garden gateway features four distinct designs - a trellis, a gate, a fence and a bench. Each element complements the others so that, taken together, they provide a cohesive assembly of form and function. Get plans and a building guide from Popular Mechanics Magazine. Build the perfect little barn for your Backyard. Have a shelter for your lawn tractor and a big storage loft for all of your seasonal stuff. Or, build yourself the perfect backyard studio, workshop or hobby shop. 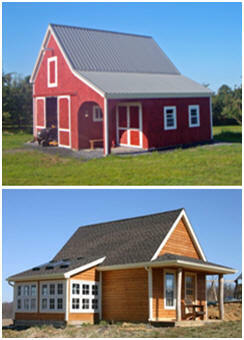 Order inexpensive plans, by architect Don Berg, for practical, flexible, little pole-barns. 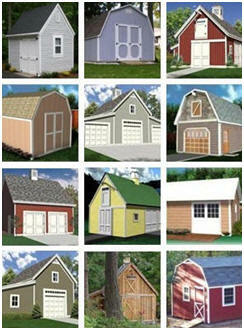 100+ Instant Download Building Plans: Garages; Barns; Sheds; Workshops Get started on your new shed, cabana, barn, garage, car barn, hobby shop, carriage house, workshop or backyard studio right now. With one order for just $29.00 you can download professional construction blueprints for over one hundred different designs.